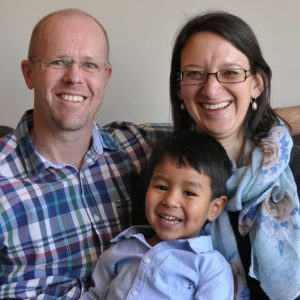 Adrian and Anita Lovell are CMS missionaries based in Cochabamba, Bolivia since 2011. Cochabamba is the country’s third largest city, with a population of around 1 million people. Adrian and Anita are providing training to the local church through the Moore College in Latin-America (MOCLAM) program. MOCLAM provides Moore College Certificate in Theology (PTC) courses in Spanish by correspondence throughout Latin America. The courses aim to equip pastors and Bible teachers for ministry by providing a foundational theological education and helping them read the Bible as a whole. Click here for contact details or to support the Lovells. Andrew and Tanuja Carson are working for Wycliffe Bible Translators. They are based in Ban Lung, a town of about 15,000 people in the north-eastern corner of Cambodia. The Tampuan people are indigenous to the region and there are currently around 31,000 speakers of the language. The Carsons’ main work is leading the project to translate the Bible into Tampuan. However, they are also involved in strengthening local churches and evangelism. Andrew attended St. Mark’s when he was growing up. His parents, Keith and Gillian attend the 8am service. St Mark’s has supported the Carsons since they first made plans to head to Cambodia. 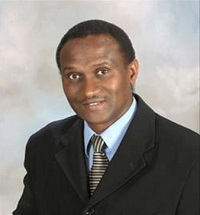 Click here for more information about the work of Wycliffe Bible Translators. African Enterprise (AE) works with local churches to proclaim the gospel to the residents of the major cities of Africa. Under the leadership of Stephen Mbogo (pictured right) evangelism is carried out by Africans themselves, who already understand their local cultures and speak their fellow citizens’ languages. AE has Teams of African nationals living and working in ten countries. In addition, AE minister each year to many other African countries via evangelistic missions, reconciliation work and leadership training courses. St Mark’s parishioner Mike Woodall was involved in the leadership of AE for many years. In recent years St Mark’s has raised funds to support major evangelistic missions in the cities of Abidjan (Ivory Coast), Monrovia (Liberia) and Bahir Dar (Ethiopia) and in Ghana. Click here for more information or to support African Enterprise. Pastor J.D. 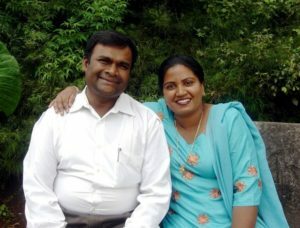 Enosh (pictured right, with his wife Ruth) began ministry in the rural villages of South India in 1994. At that time there were no Christians in the region. Faith Baptist Church grew rapidly. House Churches have been established in about 800 villages. Most of these churches are small, however, some villages have large congregations. About 15,000 believers attend these house churches today. The church ministers mostly to low caste people, widows and orphans, but is beginning to reach high caste people also. There are now around 500 pastors associated with Faith Baptist Church. The pastors are literate in their native language (usually Kannada or Telugu), but most have received little education. Each of the pastors is responsible for a group of 4-5 villages, some of which will have house churches in them. Thailand is a country where around 95% of the population identify as Buddhist and less than 0.5% as Christian. This makes it one of the most unreached nations in the world. 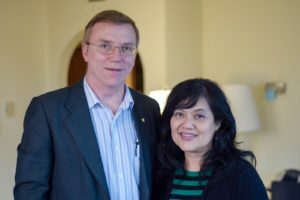 American Pastor Steven Cable and his Thai wife Nopaluck (pictured right) began their Santisuk English School ministry in Bangkok, Thailand in 1993. Their vision was to establish a school that would be both an effective evangelistic tool and a high-quality conversational English educational centre. Today their school operates from five different locations and offers classes to over 300 students each month. Their team has developed its own teaching materials and Christian curriculum, the first of its kind in Thailand. Short term teachers are an essential and valued part of their ministry. Since 1995 around 600 short term missionaries, aged from 18-86 years, have come to serve as teachers. 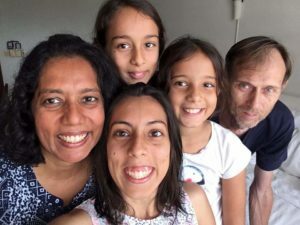 St Mark’s parishioner Jo Hooworth has travelled to Thailand on four occasions to teach English at SES, and is always keen to take others with her. Click here to find out more information about Santisuk English School. Hornsby and Asquith District Christian Education Association (‘HADCEA’) has been supported for more than 20 years by 16 local churches. The aim of HADCEA is to proclaim the good news about Jesus Christ to the students of the two public high schools that service suburbs from Hornsby to the Hawkesbury river: Asquith Girls’ High School and Asquith Boys’ High School. Jake Fitzpatrick is employed by Generate Ministries to teach Christian Studies at each of these high schools. Jake leads a team of teachers at Asquith Girls High School, where SRE lessons are all taught on the same day. Jake is not employed by, nor funded by, the NSW Department of Education. 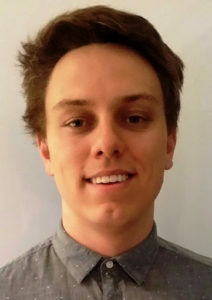 Nigel Rourke is the St Mark’s HADCEA Representative. Click here for more information or to support HADCEA. © 2019 St Marks Berowra.